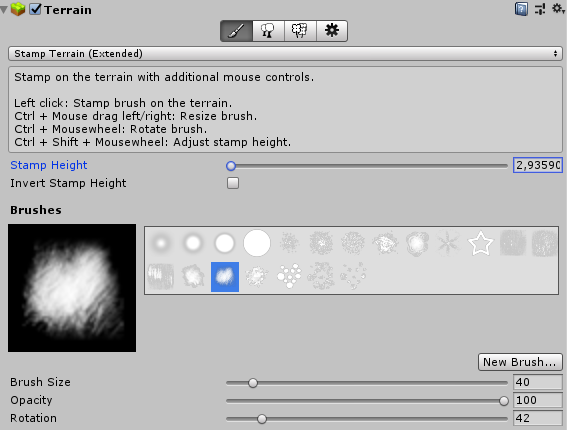 This is similar to the existing Unity Terrain Stamp Tool, but which supports special mouse handling. Full credit and a BIG THANK YOU(!!!) to the very skilled and most awesome developers at Unity who provided the Terrain Tool Samples for free for the community.